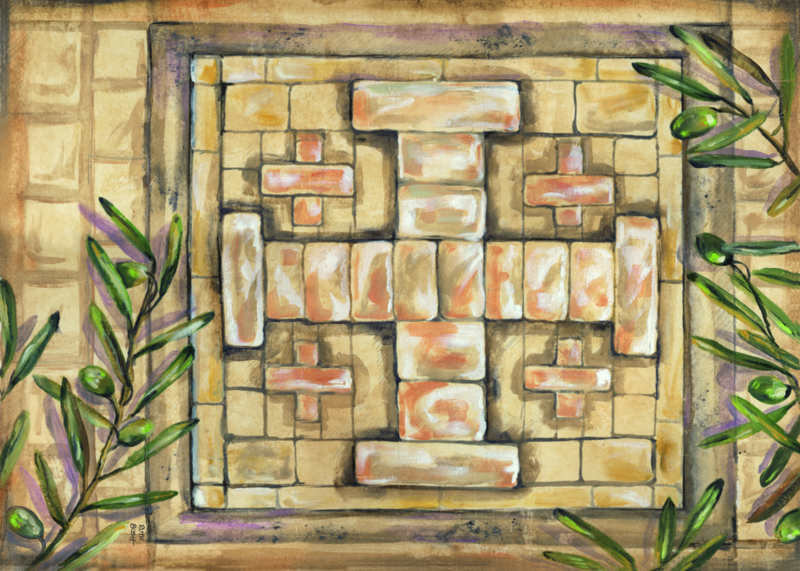 Artwork depicting the Jerusalem Cross made out of local limestone and framed by olive trees. With a passion for art from childhood, Ruth holds a degree in advertising art and has worked as a designer in corporate art and the commercial art market. Her versatile talents as an illustrator and designer have also been put to good use in hotel interior design and in custom-made atelier art. Ruth’s recent visit to Jerusalem inspired her to create some unique artwork for Levantine Gallery as special souvenirs for other visitors to enjoy and treasure.